As a health and wellness provider, it can be frustrating knowing that 70% of diseases can be prevented with the right lifestyle changes. For example, with the incorporation of healthier nutrition and following basic exercise regimens, it is possible to prolong life and prevent diseases from ever developing. However, even with this knowledge, most people rarely ever take action or implement a sound wellness structure within their lifestyle. It is up to health and wellness providers to educate society about the options available to improve the mind, body and spirit. I'm always looking for ways to share the benefits of a healthier lifestyle and to illustrate how easy it can be to adopt better habits and improve health. A few years ago I put it upon myself to develop a community-wide wellness week event where I was able to engage numerous adults and children in wellness activities and promote healthier living. To educate and inspire the general population about the options and benefits of all forms of health, wellness and fitness to improve their lives. To make a positive impact on the health, wellness and nutrition of society as a whole. To help unite prople of the world through the common goal of preventing disease and improving health overall. 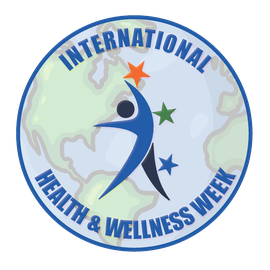 This is your invitation to be part of this effort and participate in International Health and Wellness Week. All it requires is for you to open your doors to the public and invite them to participate in one or more specific activities related to improving health and wellness, at no charge. Any health and wellness provider from chiropractors to social works to physical education teachers can participate. Not only will it fulfill our common goal of improving the health of society as a whole, but it will help promote your own dedication to health & wellness.